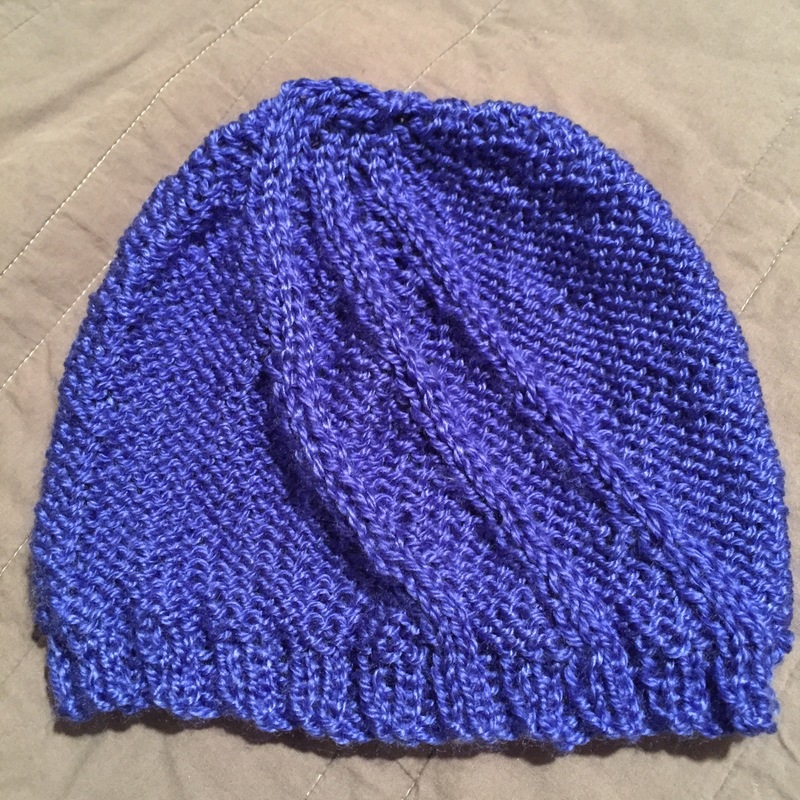 A hat in a day. One more Christmas present off my list. Yay! 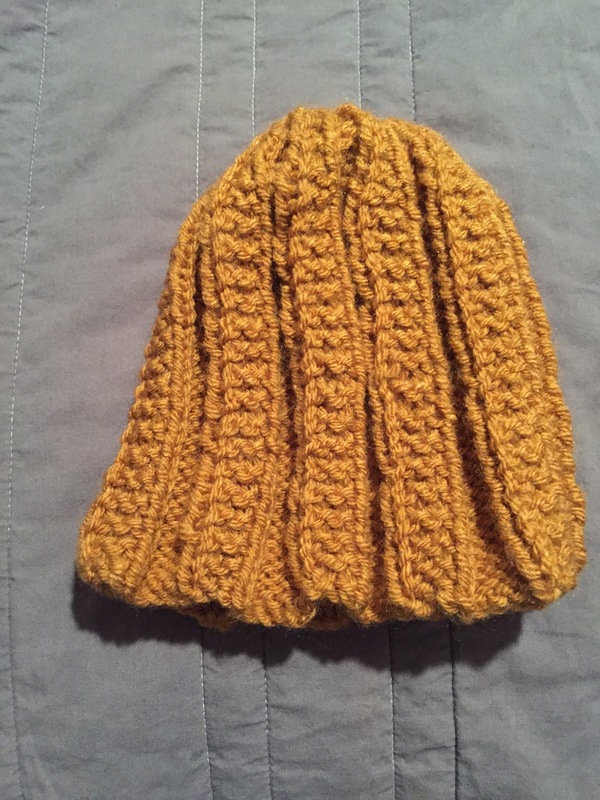 I had my own pattern in my head when I was making this hat. 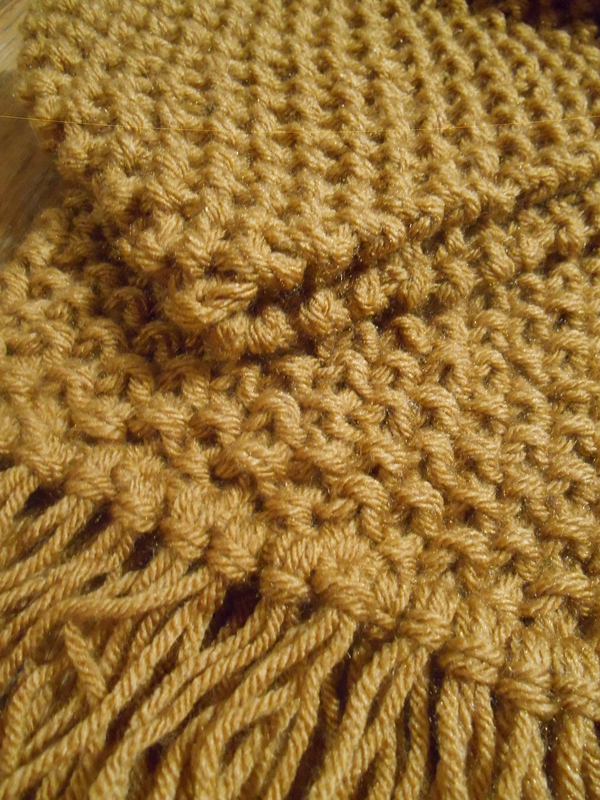 I started with a 2×2 rib on the rim and kept three of them as cables, while using reverse stockinette stitch. 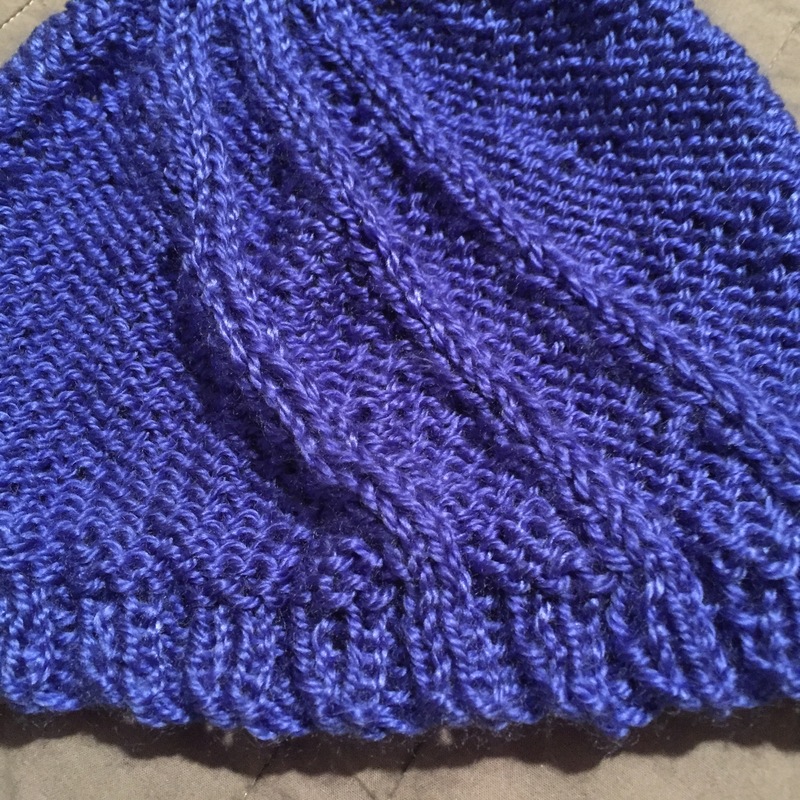 I think though I should have just used a garter stitch because while I was knitting it the hat started going away from me on the needles, instead of coming towards me. 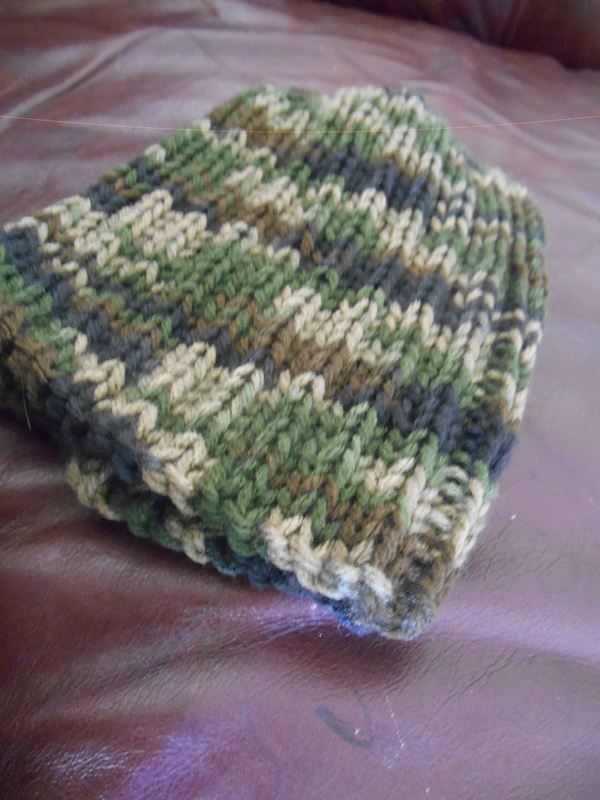 It was kind of like I was knitting it inside out. Weird. 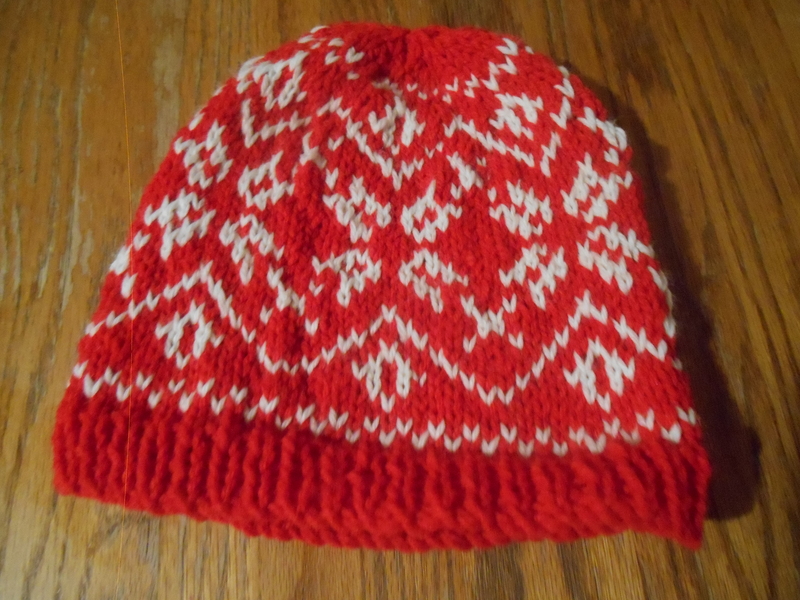 I think I should have used less stitches or used smaller needles also. But all in all I think it’s a pretty cool looking hat. If anyone thinks a pattern is worth writing, leave me a message, and I’ll type it out for you and post it. 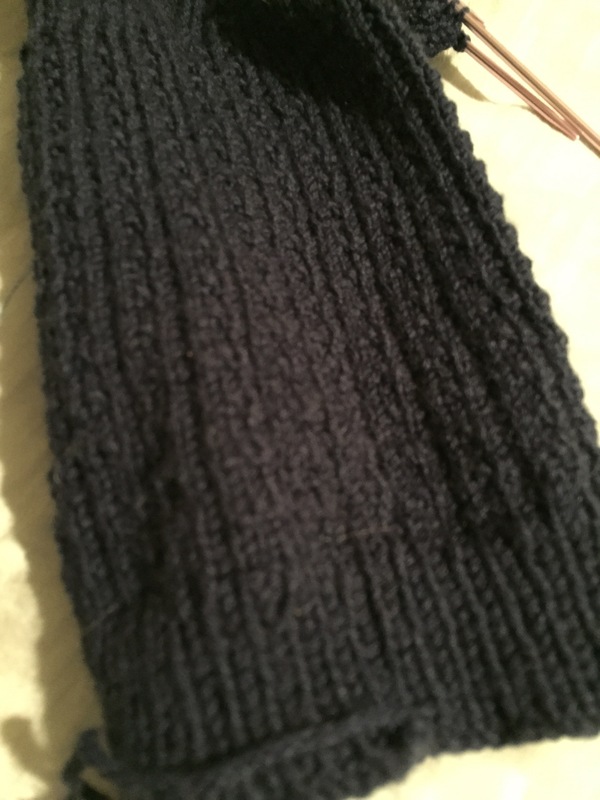 I started these socks a while ago. It uses super small needles – 2.5 mm. 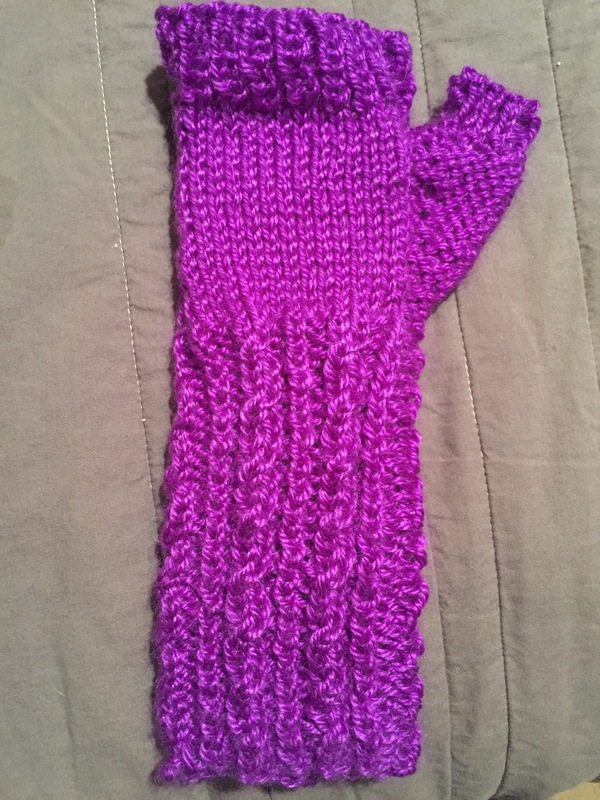 I thought I was going to make two pairs of them for Christmas… but now I’m doubting myself to get enough time to do it. I think they look pretty awesome. I took this photo a couple of days ago. Then I decided I should really work on it. 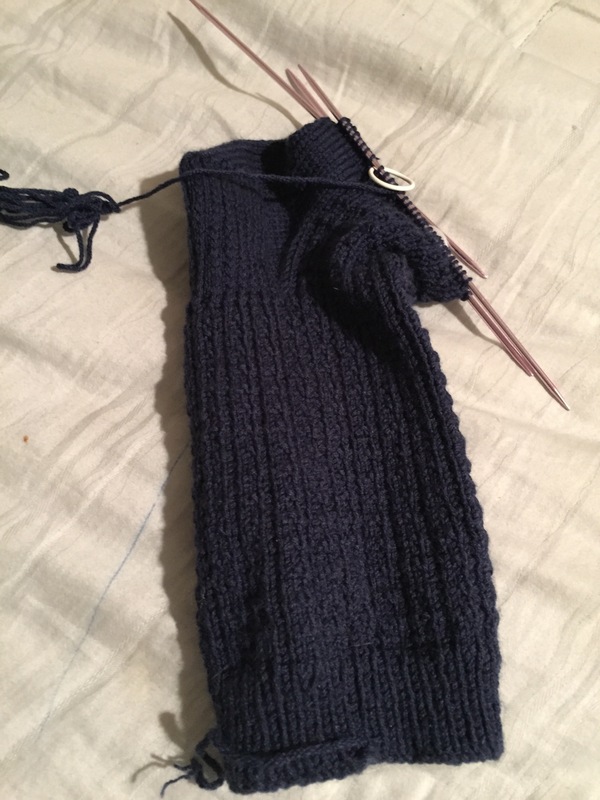 I finished the first one today. 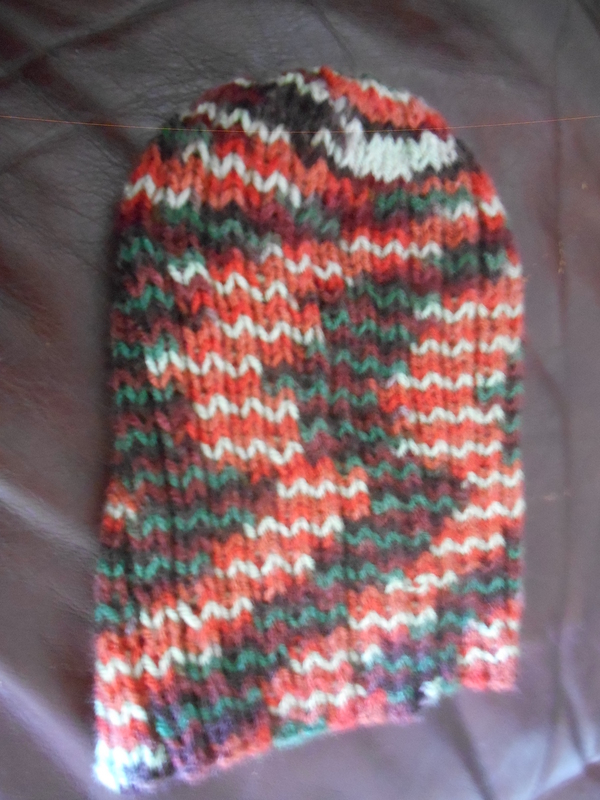 The pattern is called arden, a free pattern on Ravelry. 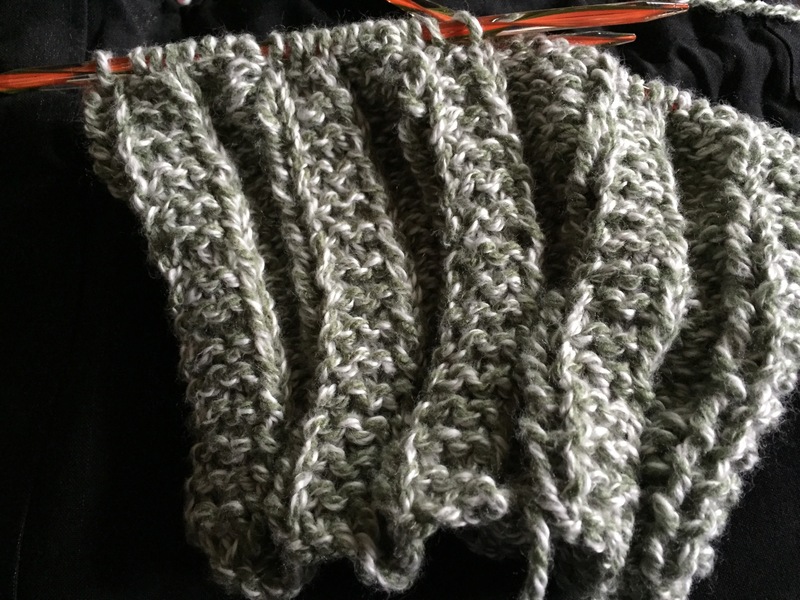 I cut the pattern short, I only repeated the pattern 4 times instead of 6. 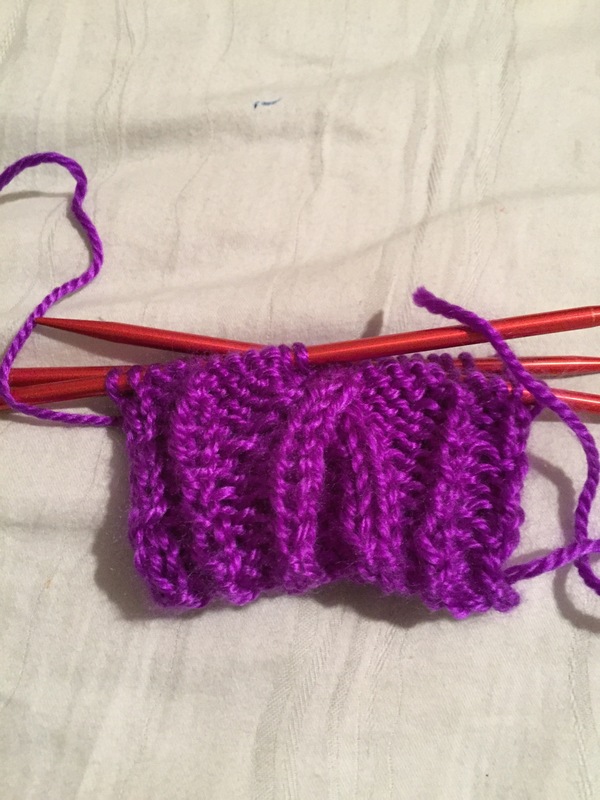 It’s supposed to go up to the elbows, but I made it to go only go up halfway. This only took me two days to finish. I’m happy with it. It makes me feel like I’m going to finish all my presents on time. These are pretty awesome. They go pretty quick. I have one done, and am just starting on the other one. 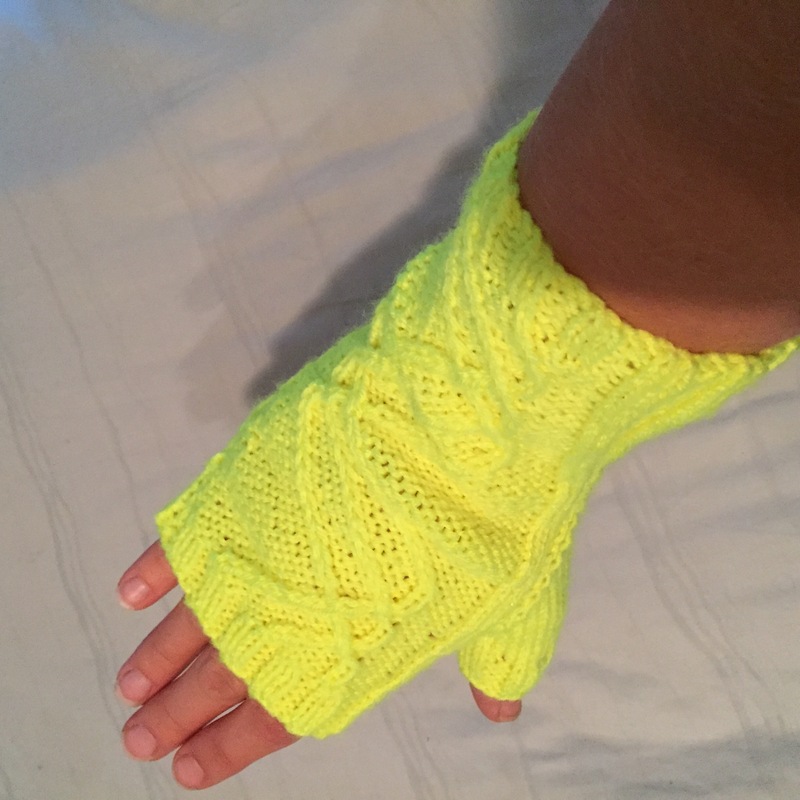 I’m making it in a neon yellow that has a tinge of green in it when the light hits it. I have to say that I had to write out the chart so I could check it off, and even then, late at night, I was overthinking it and confusing myself, especially when it got to the cross over parts. 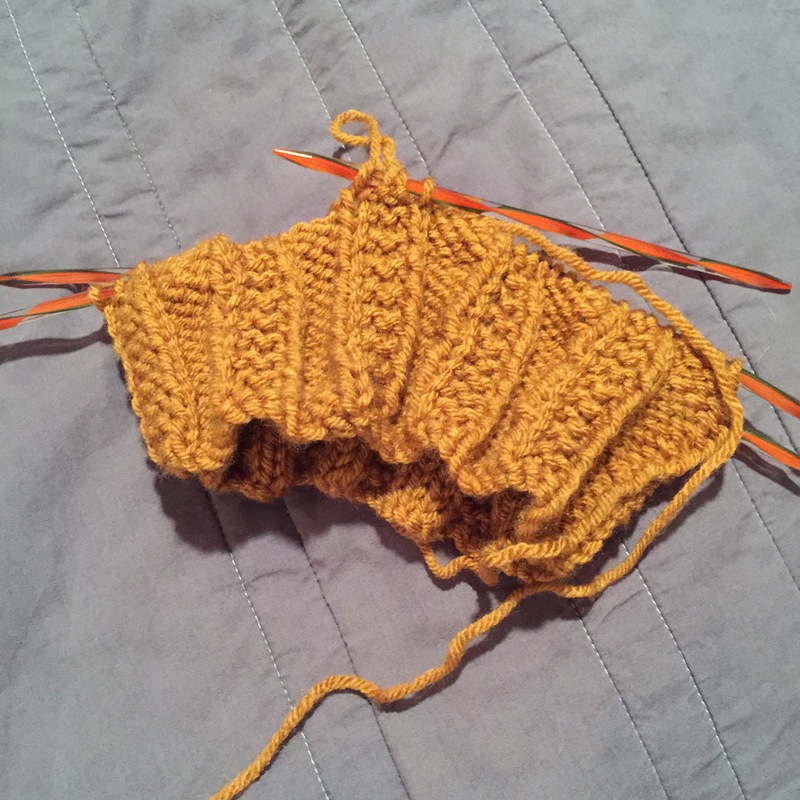 I should just save myself the trouble and stop knitting after 10pm. 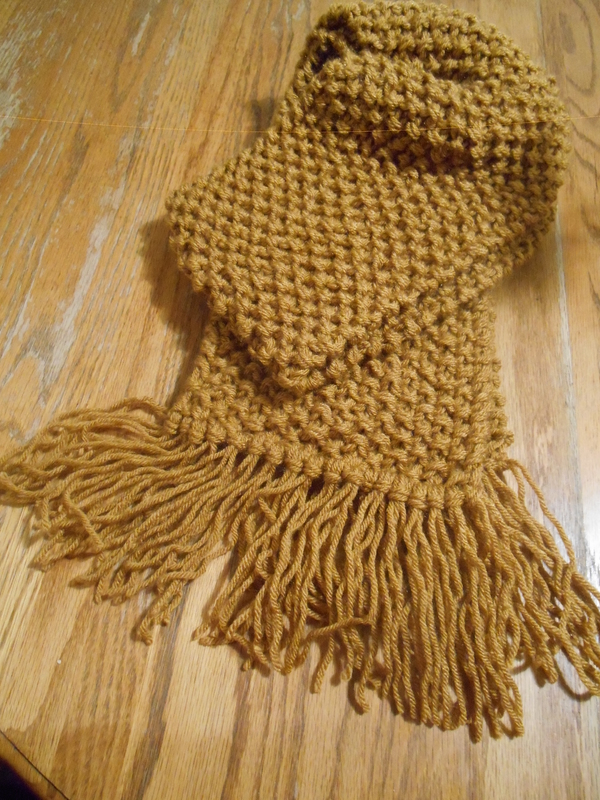 Or knit something that doesn’t require as much brain power.